Dr. William E. Ward, the first African American elected mayor in the city of Chesapeake, Virginia died July 10th in a city hospital, according to his family and city officials. 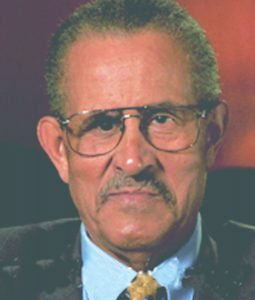 Ward, a former History Professor at Norfolk State University, was first elected to the Chesapeake City Council in 1978. He was elected mayor in 1990, and had the longest tenure in that role in the city’s history. Years after leaving office, he continued to be addressed as “Mayor Ward”. Dr. Ward was an NSU Professor of History for over 30 years. He was also the President of the Chesapeake Men for Progress which help spur political and economic progress in that city. He was honored for his work as a Civil Rights Activist fighting for voting rights during the1960s and often was sought for his views and knowledge on political and civic matters by the local media. In October of 2014, Ward was one of the inaugural honorees of the Impacting Lives Community Awards, organized by the New Journal and Guide Newspaper. Ward was born in Lunenburg County and was raised in Keysville, a town in Charlotte County, Virginia. Dr. Ward and his wife, Dr. Rose Ward, moved to Chesapeake in 1963. At that time, a poll tax and literacy tests were used to restrict African American participation fully in the city’s political system, a common practice in the South. Ward was among those who vowed to change the status quo. In 1970, voters elected the first two African Americans to the Chesapeake City Council, in part because of the work done by Ward and his fellow members of the Chesapeake Men for Progress, a community action group he helped form and once led as president. Homegoing arrangements were not available at press time. He is survived by his wife, Rose; daughter, Dr. Michelle Woodhouse; son, Michael Ward; grandchildren; and a host of family and friends.